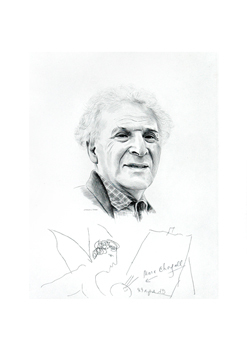 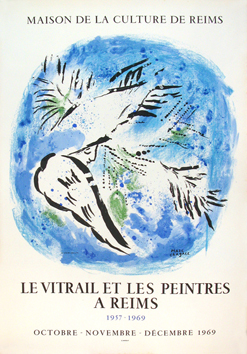 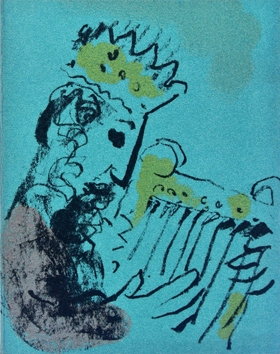 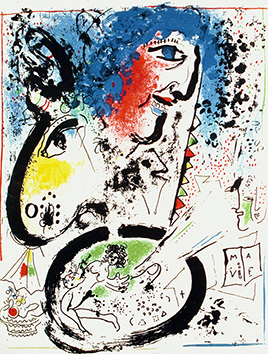 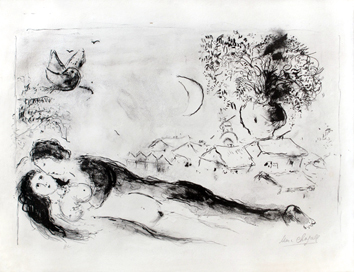 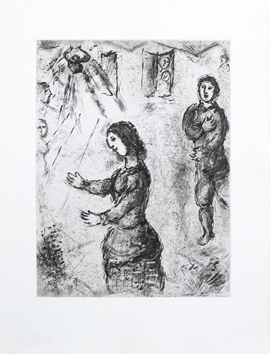 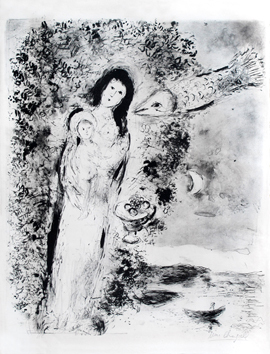 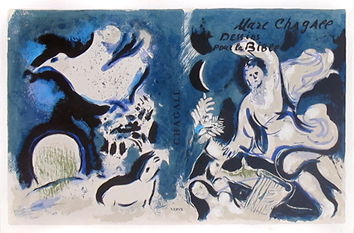 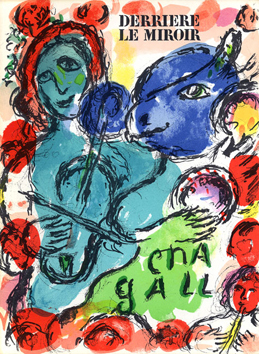 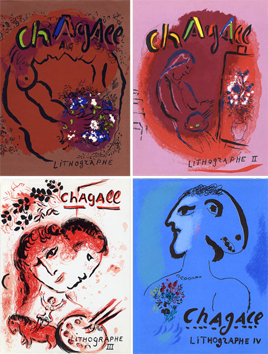 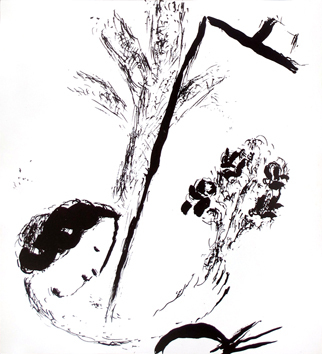 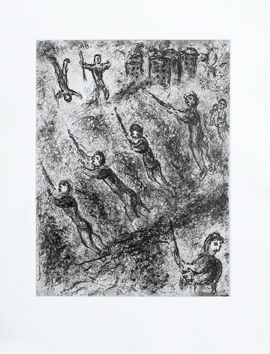 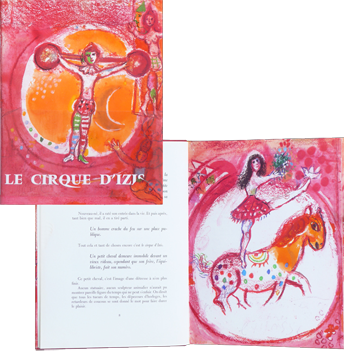 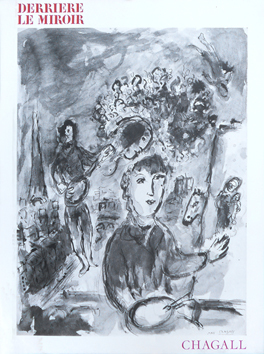 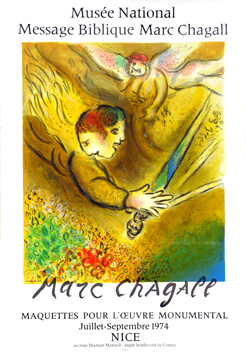 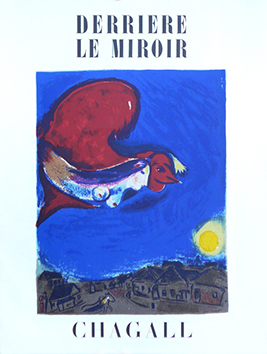 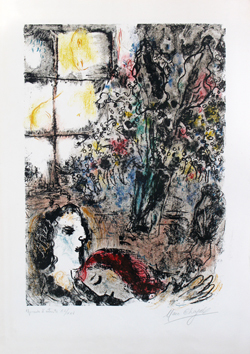 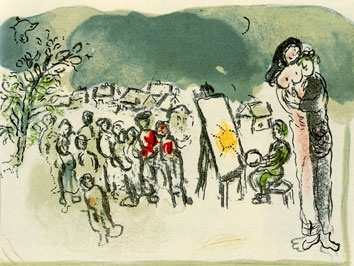 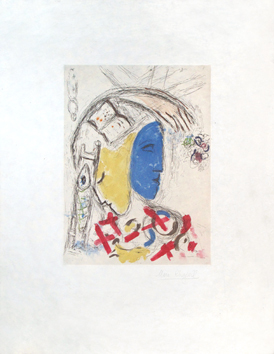 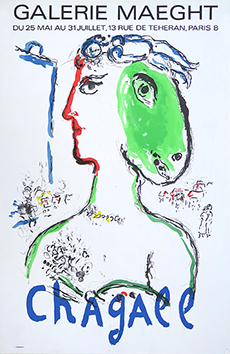 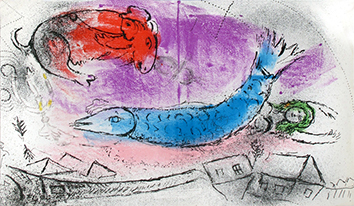 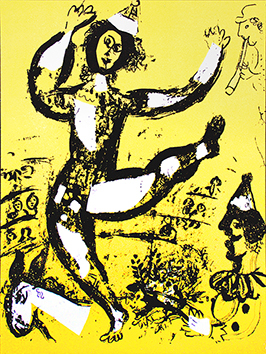 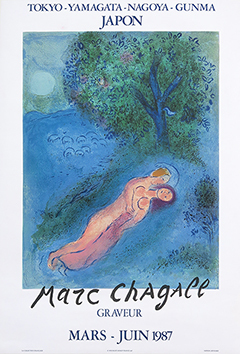 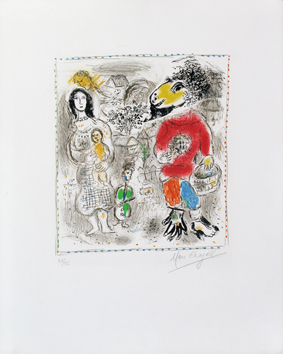 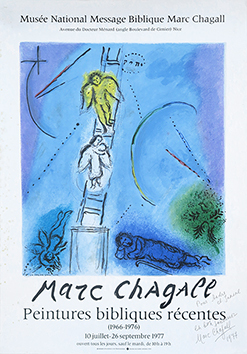 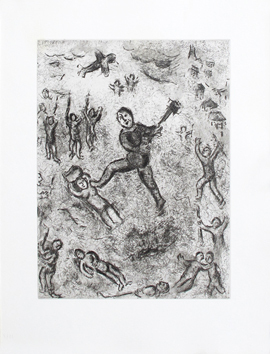 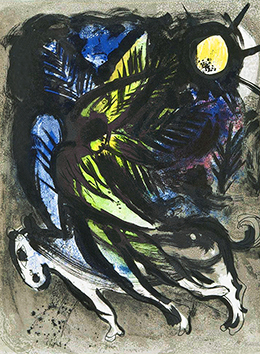 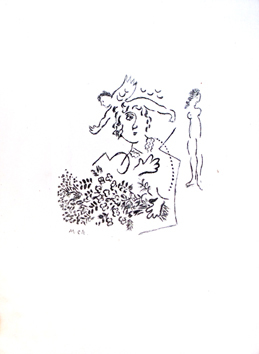 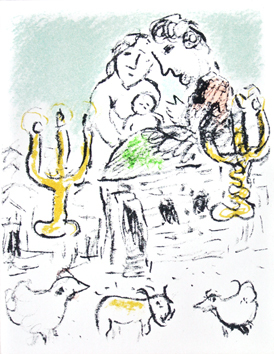 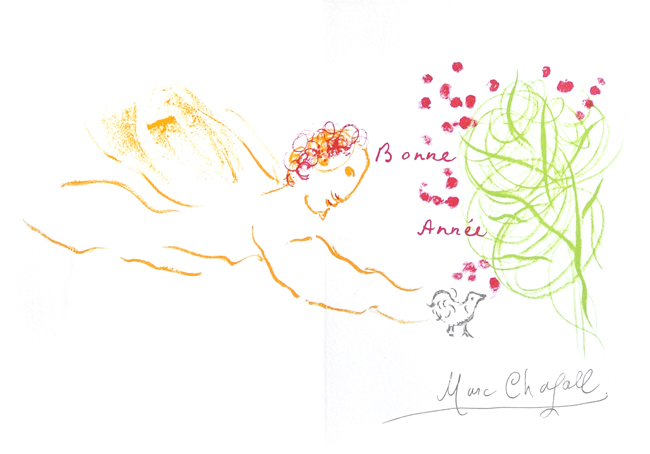 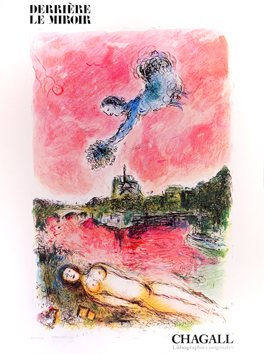 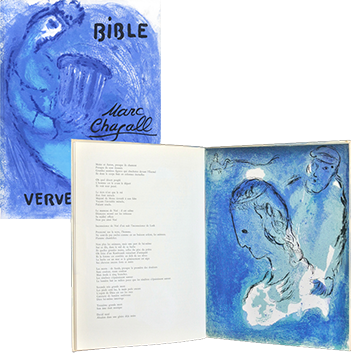 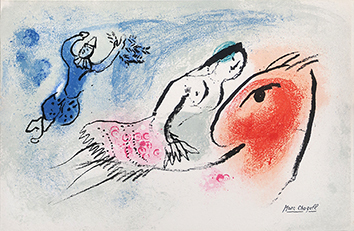 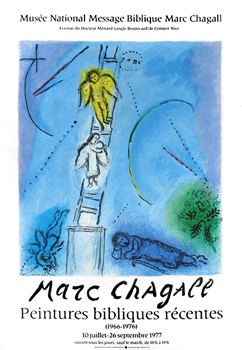 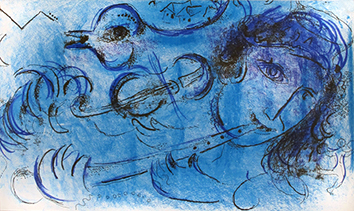 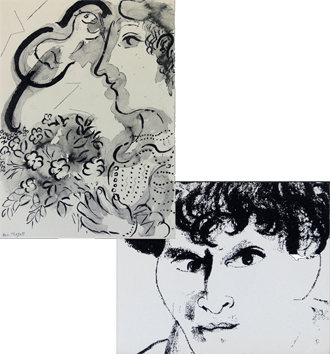 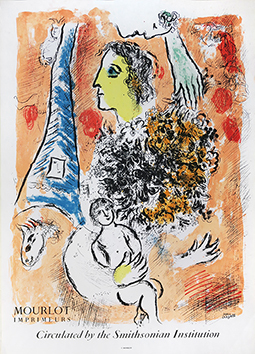 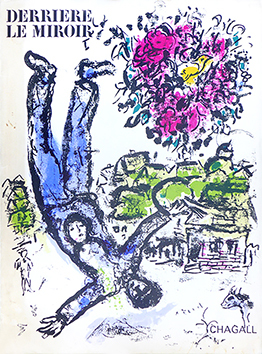 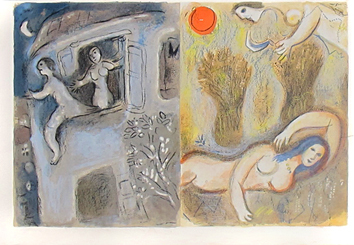 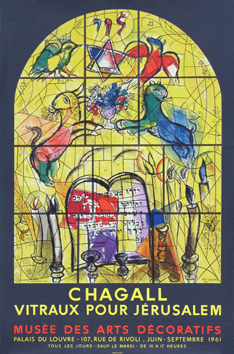 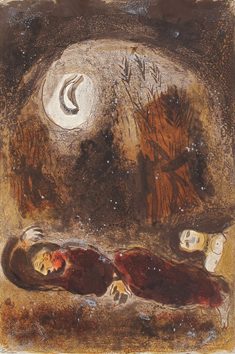 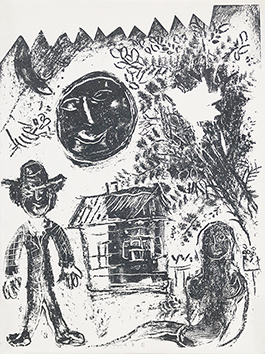 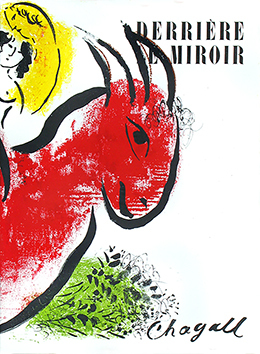 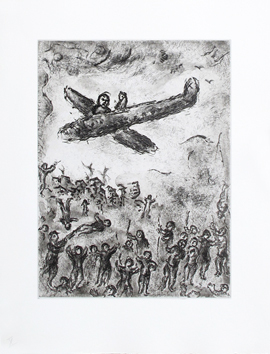 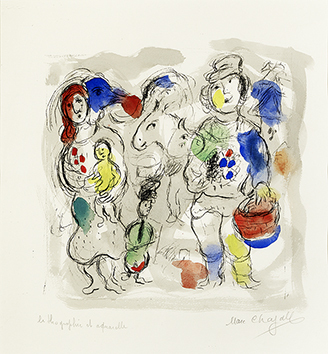 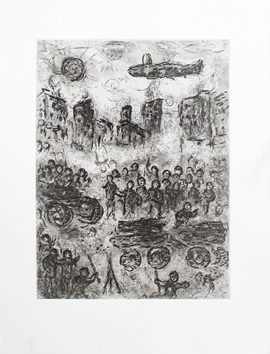 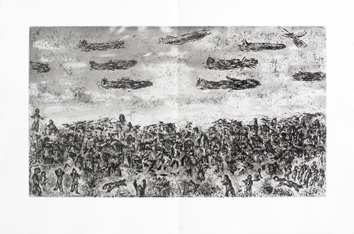 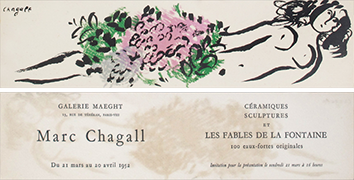 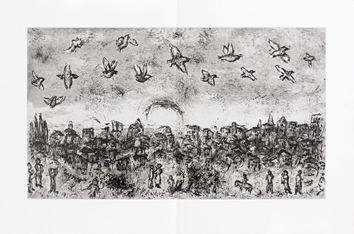 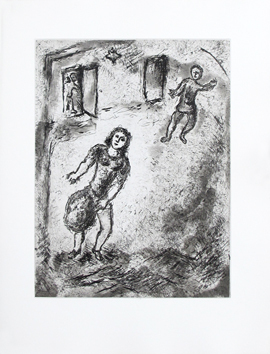 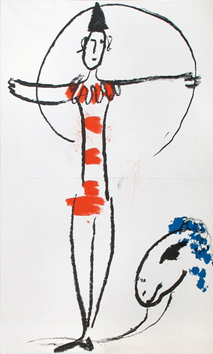 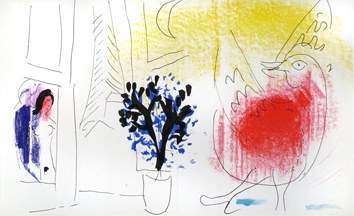 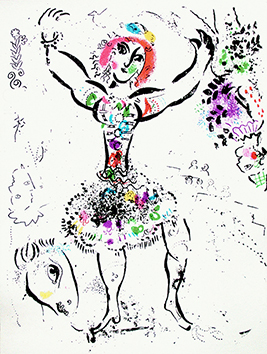 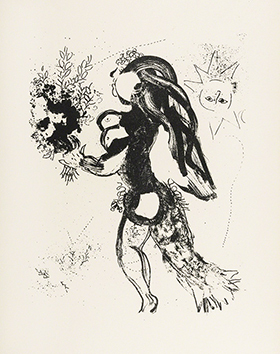 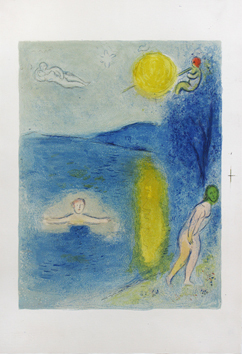 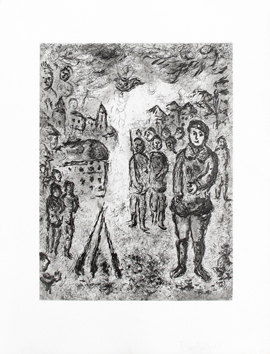 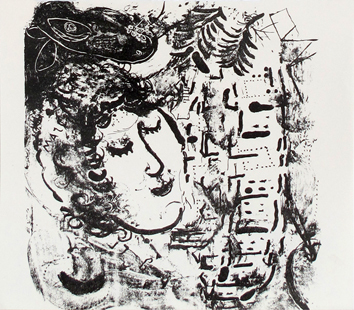 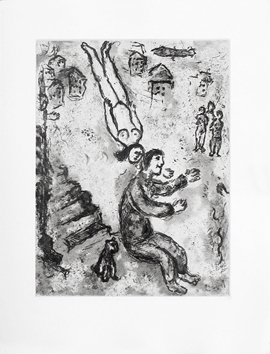 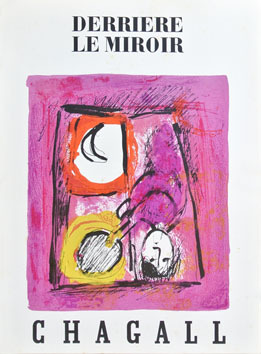 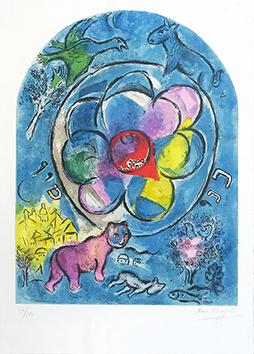 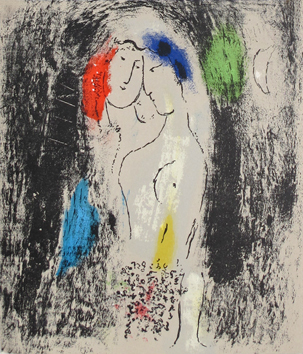 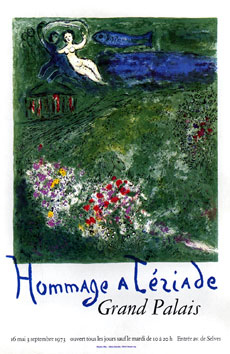 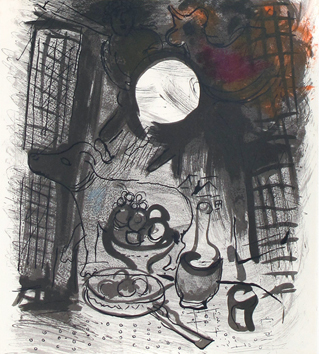 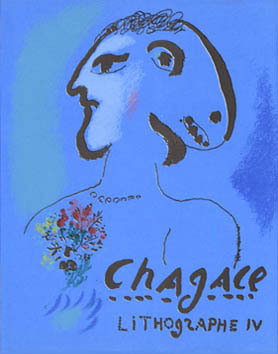 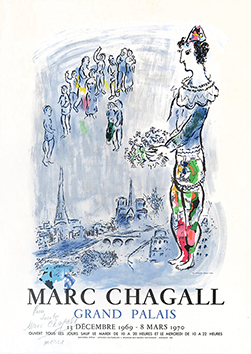 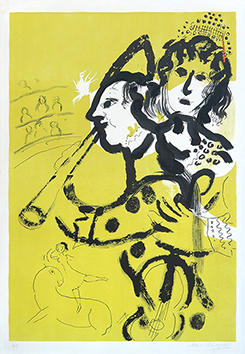 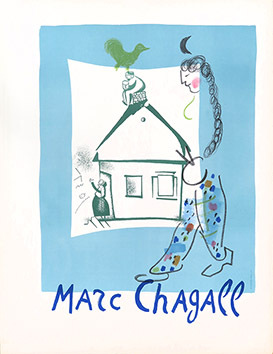 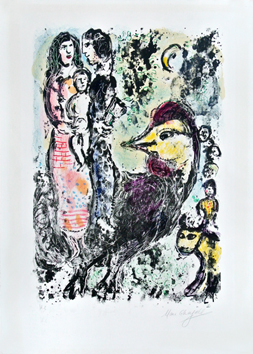 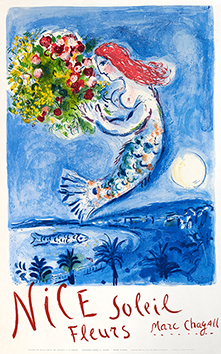 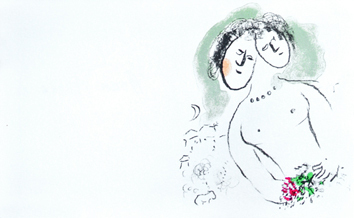 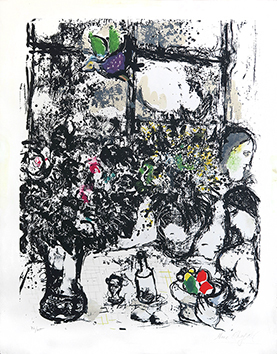 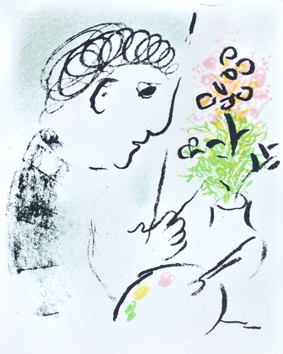 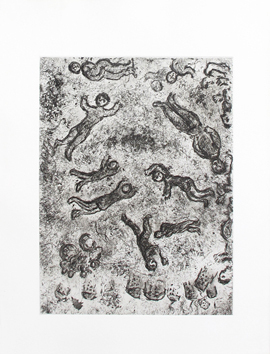 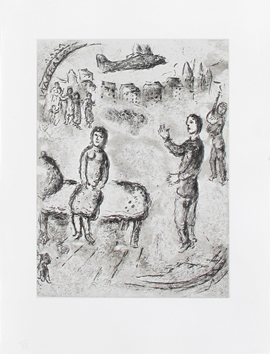 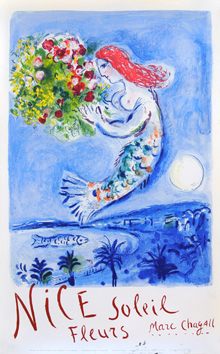 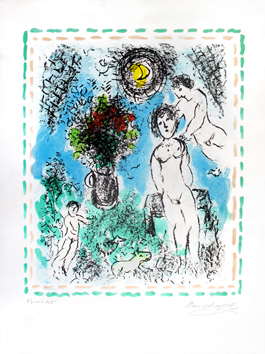 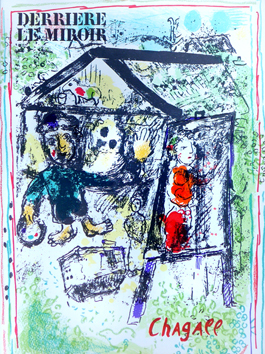 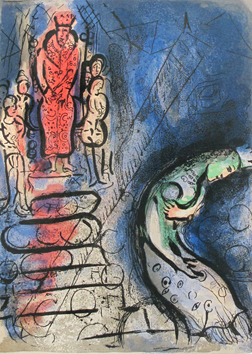 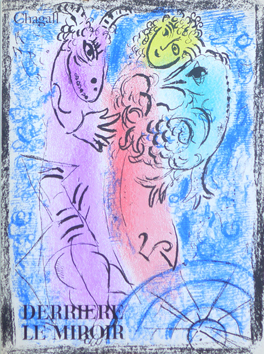 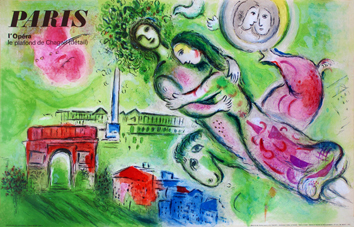 Sheet in-2, printed in lithography after a Marc Chagall's drawing. 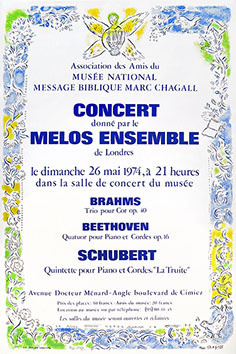 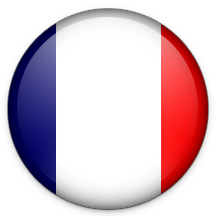 Printed signature. 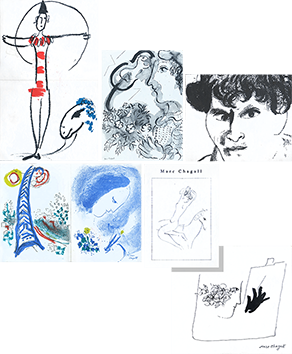 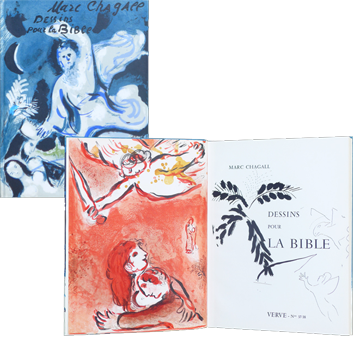 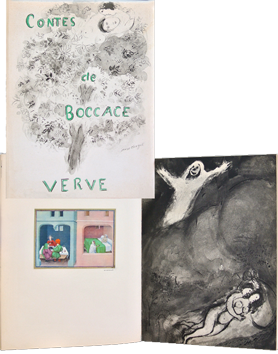 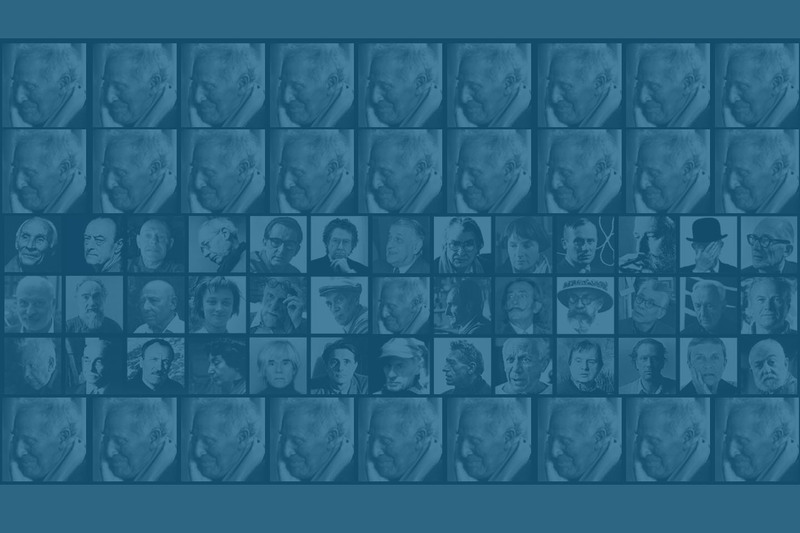 Published by the artist as a greeting card.